1st printing. Written by Cullen Bunn and Robbie Thompson. Art by Neil Edwards and Nick Bradshaw. Cover by Julian Totino Tedesco. The greatest origin story of all time, retold for a new generation! 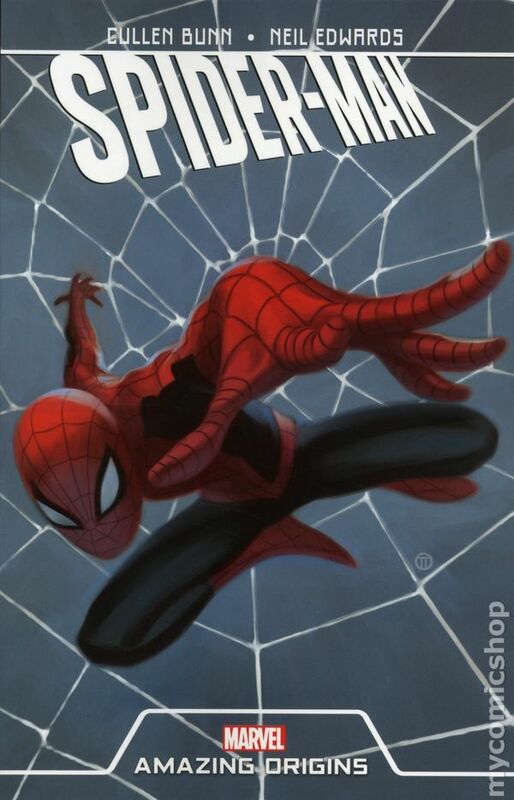 Meet Peter Parker like never before, and join him on the journey of triumph and tragedy that takes him from high school wallflower to the fast-talking, wall-crawling super hero, Spider-Man! It's an ageless tale of power and responsibility as relevant today as it was decades ago! Plus: Follow our young Spidey as he battles to build his amazing rep, in early action against...Doctor Octopus! Rediscover why the world's comic fans fell in love with Spider-Man! Bonus content: SPIDEY #1. Softcover, 128 pages, full color. Cover price $15.99.